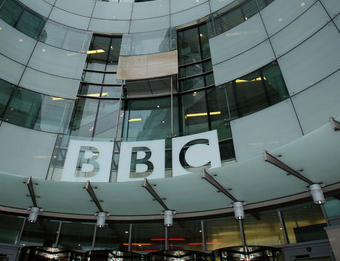 The BBC has confirmed it has exceeded its original £700 million a year savings target - ahead of another round of cuts. In 2011, the BBC unveiled its "Delivering Quality First" (DQF) initiative, which sought to bring down costs by £700 million a year, which the corporation now says has been achieved. Speaking at the DTG Summit in London today, the BBC's Deputy Director-General Anne Bulford said the broadcaster had "brought down overheads to industry-leading levels: just six per cent of our total costs - better than most in the private sector", as well as "brought down our property bill by approximately £90 million in six years, reduced our enterprise technology spend by 23 per cent in three years, and all but halved the number of senior managers in eight years." The savings programme has been blamed on a number of on-screen and on-radio changes, including some unpopular moves such as the removal of BBC Three from linear TV and the creation of a networked evening show on BBC Local Radio as well as changes to the output of the BBC News Channel and daytime BBC Two. With the BBC taking on the cost of funding over-75s TV licences in the next few years, the broadcaster is now focused on making a total £800 million a year of savings - more than the entire annual budget of BBC Two, CBBC, BBC News and BBC Four. The additional costs facing the BBC surrounding over-75s TV licences erodes gains from increasing the licence fee, which increased in April 2017 for the first time in seven years. "We know there will be more challenges ahead as we look to make the £800 million savings we need by 2020 - these cannot simply come from overheads. That’s why we are setting future productivity targets that will stretch realistic efficiency to its boundaries with a rate of 1.5 per cent every year for the next five years. But above all we are aware that the old way of doing things - working in silos, with big, inflexible project plans and budgets agreed five years out - simply can’t succeed in the future. We need to be more seamless in how we work together across technical and editorial teams, more nimble in how we allocate budgets, and more responsive in how we react to rapid changes across our industry." The BBC is working with the DTG to create the framework for new digital TV platforms, such as Freeview HD and Freeview Play and the introduction of HbbTV to replace existing MHEG-text based services. The adoption of such services by viewers will help the BBC reduce costs, as it will be able to close down standard definition simulcasts of services and deliver additional Red Button content via the internet instead of using costly broadcast spectrum. Behind the scenes, new efficient methods of distributing local radio has enabled it to launch local radio services on Freeview, with further developments allowing it to deploy HD versions of regional channels on the iPlayer and traditional TV platforms. It has worked in recent years to standardise the BBC iPlayer interface on all platforms, meaning that it can maintain and update the service more quickly across various devices, instead of working on different versions covering a patchwork of different devices and operating systems, creating further efficiencies. However, at the same time the BBC has committed extra money to launching a new channel for Scotland, which will have a similar budget to that of BBC Four. It is also working on increased personalisation of services, through the "myBBC" brand. The World Service is meanwhile benefiting from regaining Government funding, which is being used to increase global reach through additional language services and changes to content.